Another in a series of wonderful paths along the beach in southern California. This path is particularly helpful because there are buildings blocking the water view from all of the interior roads. 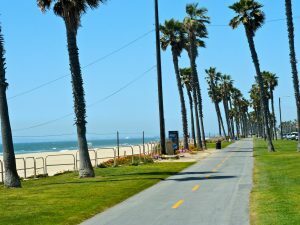 The paved path goes for 10.5 miles, from Bolsa Chica State Beach in the Huntington Beach Area to Newport Blvd. 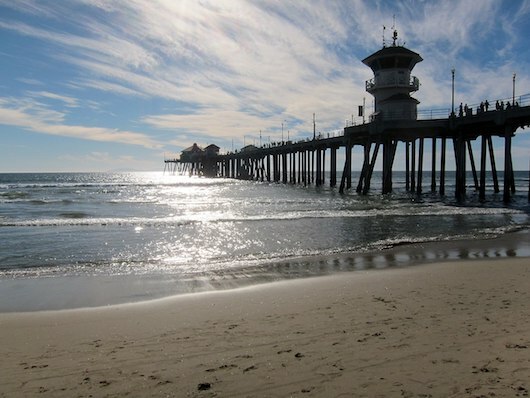 in Newport Beach. There are great water views the whole way, and you’ll always find lots of runners, cyclists, bladers, and more on nice day. Main St. in Huntington Beach is about the half-way point of the trail — it’s ~5 miles in each direction. The path is wide and paved, literally bumping up against the sand. There are lots of spots along the way to eat, grab a drink, rest, or hit the restroom. At the 8.5 mile mark (or about 3 miles south of Huntington Beach), you can also join the Santa Ana River Trail. See our route map, and table with distances. 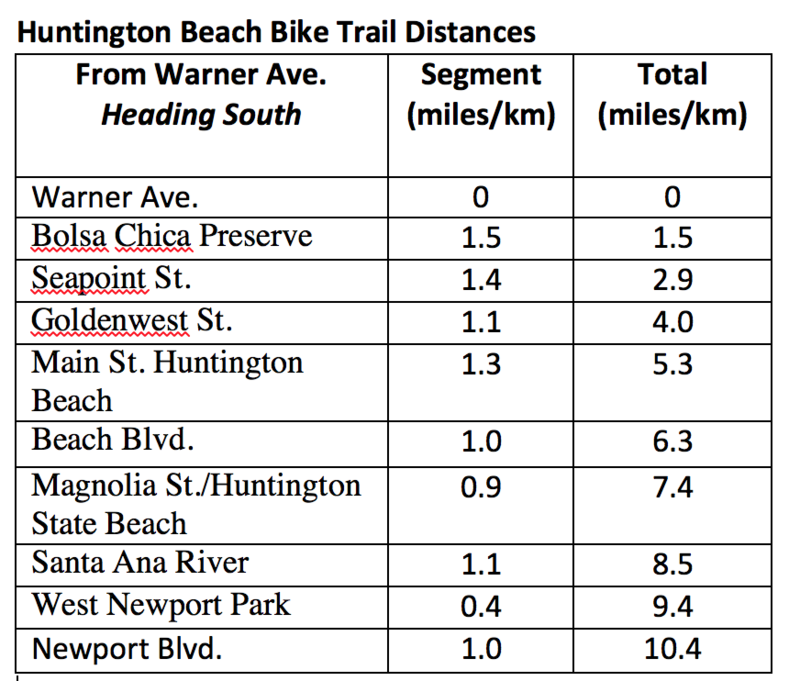 Add-Ons: You can continue for even longer, heading south, on the Newport-Balboa bike path, which goes for 2.9 miles. At West Newport Park, get off path and go along Seashore Rd. for 1 mile to join the path. You can also join the Santa Ana River trail at the 8.5 mile mark on the path. Anywhere along path. North end is Bolsa Chica State Beach at Warner Ave; South End is Newport Beach at Newport Blvd.